Description: Creating data flow diagram can be as easy as pie if you use the correct tool. Good diagramming tool must be both easy and time-saving. Edraw can be used as an excellent data flow diagram software coming with extensive pre-made symbols. 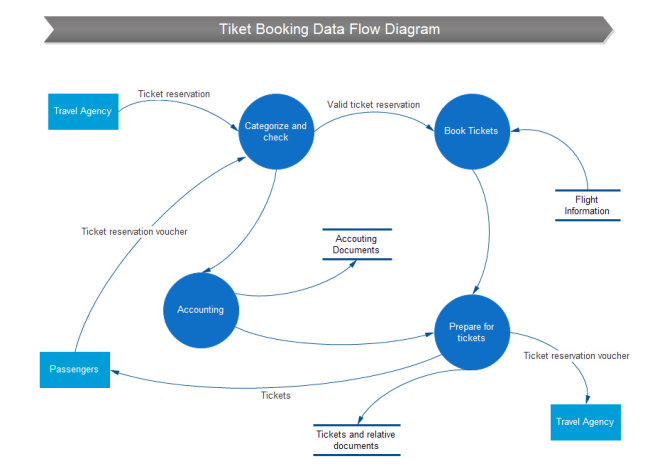 The ticket booking data flow template you see on this page is created within few minutes. Data flow chart templates sharing community allows you to share your great data flow diagrams with others. Meanwhile, you can also download any diagram you need freely. All templates are available to edit and redesign in the way you want.